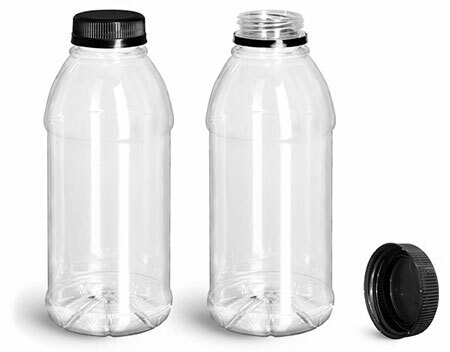 Opt for clear PET beverage bottles with black tamper evident caps for products such as energy drinks, sports drinks, enhanced waters and more. 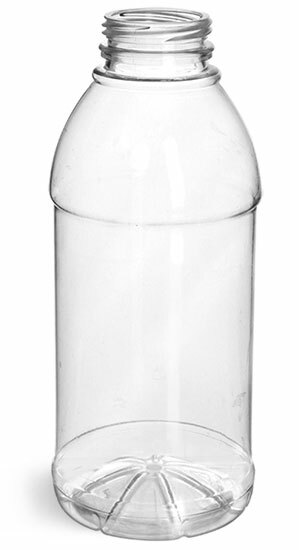 These clear plastic beverage bottles include indented labeling areas, as well as wide mouth openings for drinking. 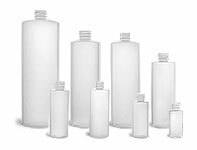 Tamper evident caps give your customers assurance that the product has not been previously opened or tampered with before purchase. Be sure to try this set for your beverage products!